Due to the length of the December program, The Adventure of the Evening quiz, usually given at our meetings and featured in this column, has been postponed until March. Watch for the "Adventure of the Abbey Grange" quiz in the March 2012 Meeting Notes. 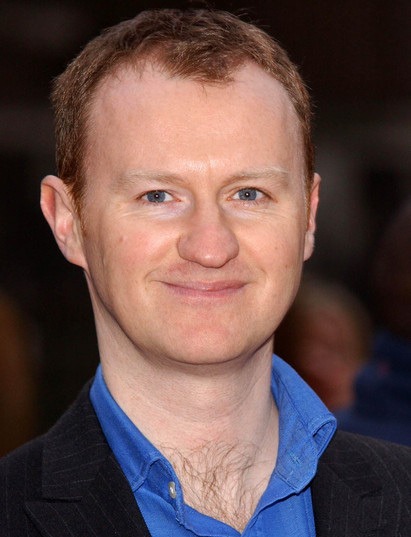 Author, actor and playwright Mark Gatiss is a co-creator of the BBC's Sherlock, in which he also portrays Mycroft Holmes. He is a patron and sponsor of the bid to save Undershaw. Mark says. . .
"I would like to express my whole-hearted enthusiasm for the campaign to save Undershaw. It seems to me a very sad reflection on our times that the home of one of our greatest and most popular writers should be so neglected and in danger of unsypmpathetic redevelopment. Sir Arthur Conan Doyle occupied several residences in his prolific and thrilling career; only Undershaw bears the stamp of his massive personality. Here the Hound of the Baskervilles first breathed spectral life and Sherlock Holmes himself was resurrected from the Reichenbach Falls. Here Stoker, Barrie, Hornung and many others were entertained. It's no exaggeration to say that Undershaw was the centre of Doyle's life during perhaps the most fruitful and fascinating phase of his career. It must be saved and take its place among the sensitively preserved residences of this country's other literary giants. This is certainly a three-pipe problem but not, I am convinced, an insoluble one. The Red Circle gathered at the National Press Club on Friday evening, December 2. A large contingent of Sherlockians enjoyed cocktails and dinner, followed by a full program. In addition to many "regulars," we welcomed Helen Dorey, visiting from the Sherlock Holmes Society of London. Michele Kaminski reported on her visit to Bloomington, Indiana to attend the "Gillette to Brett" conference there. This third edition of the popular survey of Holmes on film featured The Seven Per Cent Solution, the classic pastiche written by Nicholas Meyer, with the author/screenwriter present for the festivities. Our featured speaker was Jacquelynn Morris, ASH, and United States representative of the Undershaw Preservation Trust. Jacquelynn gave us an excellent summary of the efforts to rescue Undershaw, the home that Conan Doyle built for his family in 1897. This historically significant Surrey home is now in the hands of developers, who threaten to split the building into three townhouses, flanked by new homes on the original three-acre tract. Victorian dwellings like Undershaw were seldom designed by those who would live in them, but Conan Doyle's hand is very much present in the planning for his new home. He drafted the original plans himself, with special consideration for his invalid wife Louise. 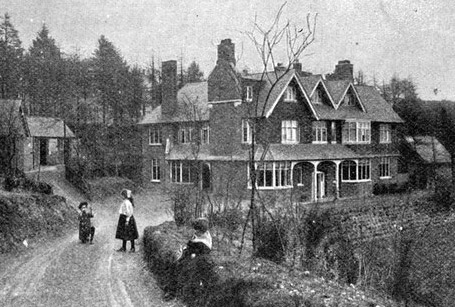 While living at Undershaw he wrote The Hound of the Baskervilles and The Return of Sherlock Holmes, and entertained many notables, including Bram Stoker, J. M. Barrie and a young Virginia Woolf. Today Undershaw stands sorrowfully empty, neglected and vandalized, and the Waverly Borough Council has granted the owners planning permission to carve up the house. The preferred vision of the Undershaw Preservation Trust would be to see the house, stable, well and grounds restored in period style, much as they have survived for 114 years. Happily, the redevelopment plans have been put on hold, pending Judicial Review by the Royal Courts of Justice. Jacquelynn announced that the review will take place on May 23, 2012 in the High Court, where the Undershaw Preservation Trust will argue vigorously against development and in favor of restoration. Many, many Holmesians and Sherlockians have signed the online petition to save Undershaw. If you've not already done so, both Jacquelynn and the Red Circle urge you to click here and join the movement.